SNOW MAKEUP - FRIDAY, DECEMBER 14th at MAC'S BBQ. BLOC-Matthews meets the 2nd Monday of each month at Mac's BBQ. Start time is 11:45am, but members get there early for networking purposes and the meeting ends at 1:00pm promptly. This is a meeting for the MEMBERSHIP and their guests only. 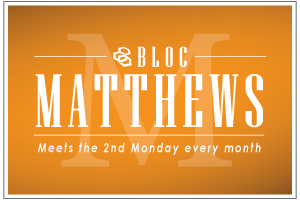 This gathering occurs once a month and is a great opportunity for BLOC-Matthews members to catch up with one another. Our luncheon is located in a private section just for our group. Our lunch is served off the menu and runs about $10 -$15. Looking forward to seeing you at MAC's!